Total romantics will absolutely adore a honeymoon in France. There's so much to love about this European destination, whether you're interested in exploring the city or relaxing in the country. If you’re a romance junkie who appreciates a good glass of wine and perfectly paired cheese plate, a honeymoon in France might be right up your alley. 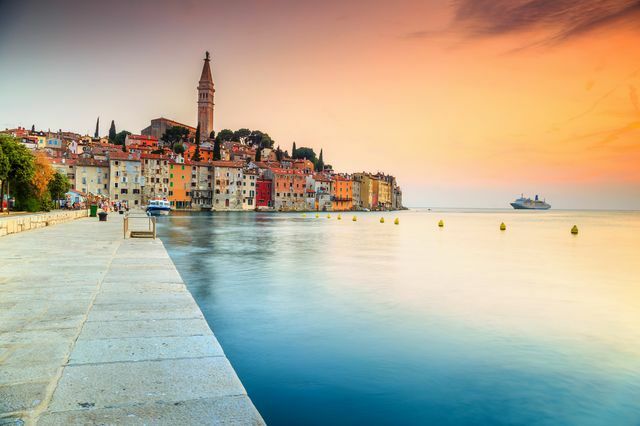 There’s so much to admire about this European country, from its rich history and culture to its elaborate Baroque style architecture and iconic statues, landmarks and monuments. No matter where you travel in this second-largest country in Europe, you’re sure to find sophisticated charm—not to mention some of the best food you’ve ever tasted—at every corner. If you’re planning to visit France’s notoriously stunning capital, Paris, your best bet is to take off in the spring, between the months of April and June, or the fall, between the months of September and November. This is when the weather is comfortable—not too hot or too cold—and when the jampacked crowds from the summer have come and gone. You’ll get an authentic taste for what it’s like to be surrounded by true Parisians—what a treat! Airfare also tends to be more reasonable during these months, as they don’t typically fall during school vacations so families are less likely to bring their brood along. This leaves the city of lights wide open for your romantic exploration. The same is true for the south of France, along the Mediterranean coastline, which has a very different average temperature than northern France. It doesn’t get quite as cold as Paris during the wintertime. Instead, temperatures tend to not fall below 45 degrees year round. The city of lights is undoubtedly one of the most popular honeymoon destinations out there because, well, what could be more romantic than a honeymoon in the most lovestruck city in the world? Paris is also a major city, so folks who enjoy the hustle and bustle and metropolitan vibe, not to mention cafes, restaurants, bars, museums and just about everything else all in close proximity, will love the busy Parisian streets. Since Paris is an old city, dating back to the end of the 3rd century, much of the architecture, including the fabled arches, Gothic cathedrals and luxe gardens have been around centuries. 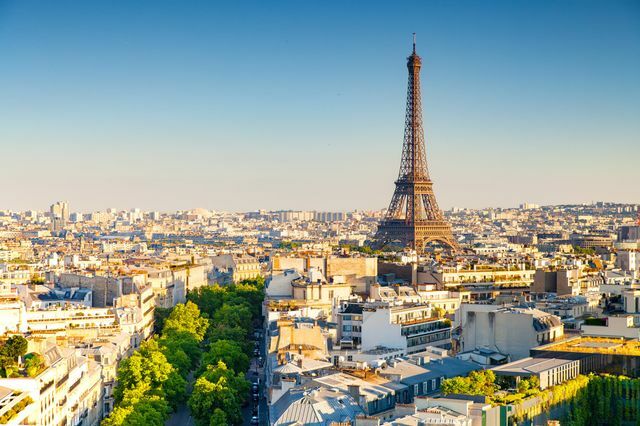 In addition to enjoying a casual stroll down the beautiful Seine River, which runs through the city, you won’t want to miss notable sights such as the Notre-Dame Cathedral, Arc De Triomphe, Sacred Heart Basilica of Montmartre, Moulin Rouge as well as museums like the Louvre and Musée d'Orsay. 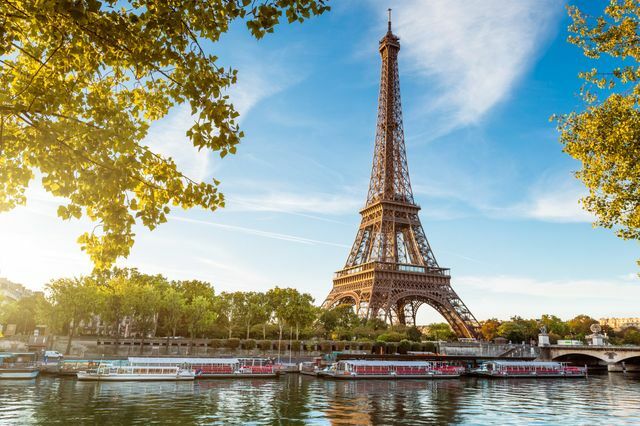 Last, but certainly not least, you’ll want to save one day to visit the Eiffel Tower, which you are able to climb to the top (talk about stunning views! ), or spend an evening dining by the tower, which lights up and sparkles every hour. 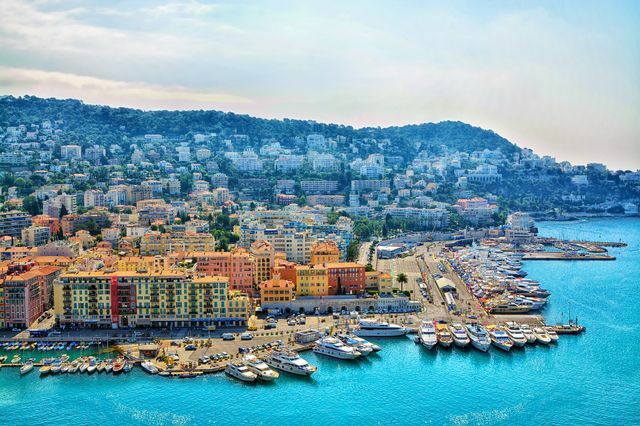 If you’re looking for a more laid back and relaxing experience during your honeymoon in France, and one that involves beaches and warm weather, head down to the Cote d'Azur, also known as the French Riviera. It’s home to palm trees, rocky beaches, cascading mountains, casinos as well as a plethora of yachts and mansions. The area is far more opulent than other regions of France and is perhaps most famous for its high profile guests. While you’re there, make a visit to Cannes, home to the famed Cannes Film Festival, which is just a 30 minute train ride away. 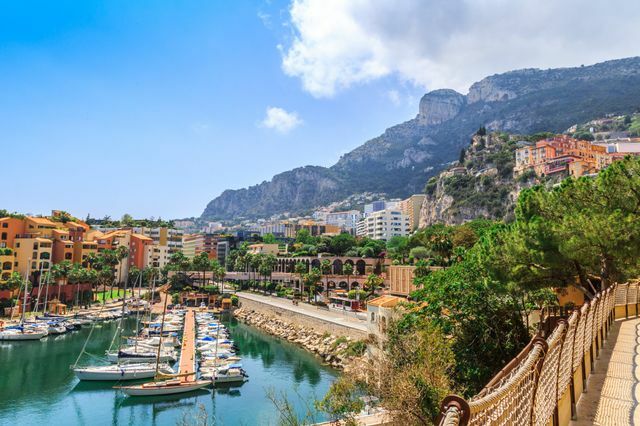 The incredible country of Monaco is also about a half hour train ride away (yes, this is where late actress and Queen of Monaco, Grace Kelly, lived with her handsome husband Prince Albert II!). You can take a visit to her castle as well as try your hand in one of the many Monte-Carlo casinos that Monaco is known for. Lastly, don’t miss Eze, a beautiful mountain town not far from Nice. It’s ideal for couples who enjoy hiking and scenic views. Another hot spot for a honeymoon in France is the Loire Valley in the northwest region of the country. It’s known for its fairy-tale-esque villages, quaint, storybook towns, rolling countryside and, of course, vast vineyards. This is the location where much of France’s royalty resided. Be sure to visit Abbaye Royale de Fontevraud, a famous monastery founded in the year 1101. Also, tour one of the most famous castles in the world, the Chenonceau. It’s breathtaking and will give you all the fairytale princess vibes you dreamed of. Don’t forget to partake in some wine tastings. Ask the receptionist in your hotel to point out the best ones in the neighborhood and rent a bike or partake in one of the cycling tours offered by most wineries in the Valley.